New show "Kaala Teeka" is touted to break the shackles of age-old superstitions and spread awareness against them amongst the masses. Set against the backdrop of Mithila, Bihar, “Kaala Teeka”, which will start on November 2, will feature the story of two young girls whose lives are entwined by an act of superstition. 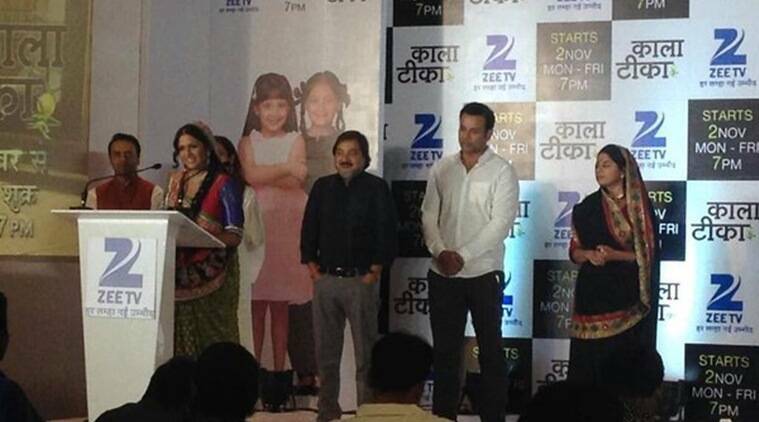 In an attempt to take a dig at the superstitions that people often follow in their day-to-day lives, Zee TV is coming up with a new show “Kaala Teeka”, which is touted to break the shackles of age-old superstitions and spread awareness against them amongst the masses. The show captures the journey of a girl-child Kaali (Sargam Khurana) who is treated as a human ‘Kaala Teeka’ for another child Gauri (Adaa Narang) and is expected to shadow her everywhere for the well-being of the latter. “Kaala Teeka” captures one of the worst form of superstitions – personification. It showcases Kaali’s journey of hope as she overcomes these challenges and enables Gauri to find her true self. She also reaches out to her own aspirations and ambitions in life and becomes an inspiration to others. “As a responsible broadcaster, our programming content has always attempted to mould public mindset and create awareness about pertinent social issues. With ‘Kaala Teeka’, the objective is to sensitise audiences to question age-old beliefs and define their own limits to blindly following superstitions in their lives to bring about a progressive shift in their mindset,” Zee TV business head Pradeep Hejmadi said in a statement. The show also stars Mita Vasisht, Daljeet Kaur Bhanot and Bhupinder Singh.